Stylish Star Allu Arjun and Anu Emmanuel’s starrer Naa Peru Surya is gearing up for a grand release on 4th May. The entire team is busy in the promotional activities of the film. The film’s pre-release event was held at Gachibowli Stadium of Hyderabad yesterday. On this occasion, Bunny thanked Indian Army for giving their support to the film. 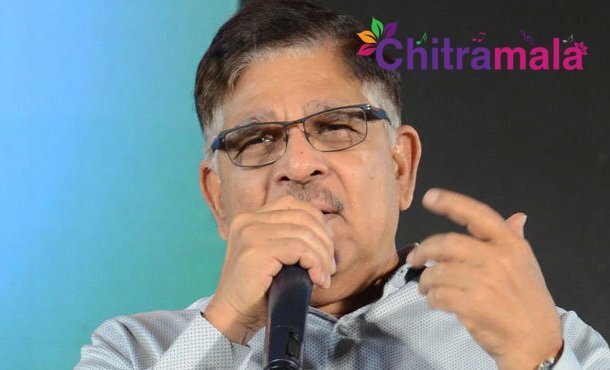 Mega Producer Allu Aravind made some sensational comments that shocked everyone. He said Naa Peru Surya is releasing on the birthday of director-producer Dasari Narayana Rao. We feel proud for it. He cautioned the movie lovers and fans about the conspiracy of targeting Naa Peru Surya, he said, “Some decisions have been made due to the developments in the Telugu film industry. Because of this, few media house may try to spread mixed talk on the film to damage it. But audiences have to break their conspiracies. I am confident about the success of my son’s movie. He further added, “Not to fall into the trap. If the film is good, encourage the film. It is known news that some heroes and producers are tried to impose ban on these TV Channels. Mega Producer Allu Aravind was one of them.